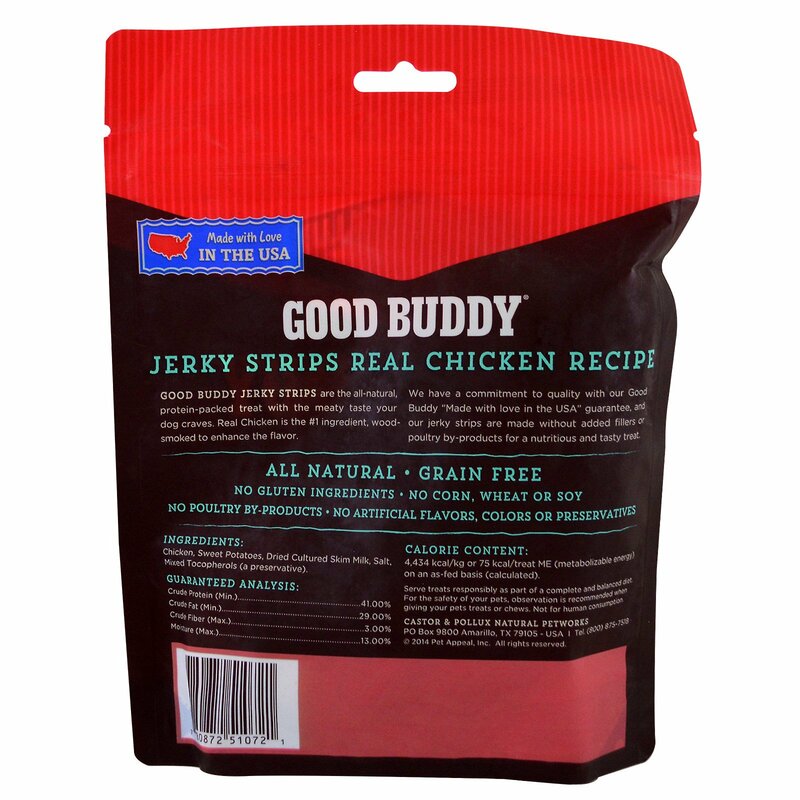 Good Buddy Jerky Strips are the all-natural, protein-packed treat with the meaty taste your dog craves. 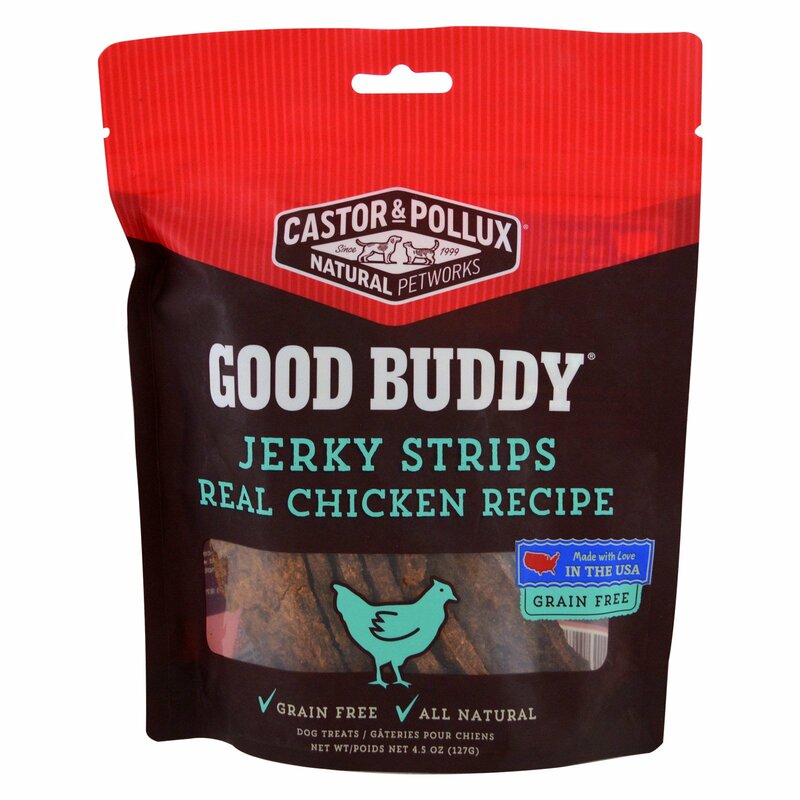 Real chicken is the #1 ingredient, wood-smoked to enhance the flavor. Serve treats responsibly as part of a complete and balanced diet. Chicken, sweet potatoes, dried cultured skim milk, salt, mixed tocopherols (a preservative). For the safety of your pets, observation is recommended when giving your pets treats or chews. Not for human consumption.